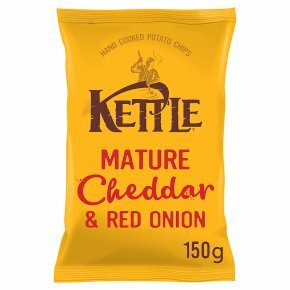 Hand Cooked Potato Chips with Mature Cheddar and Red Onion Seasoning. Per Portion/The panel below helps you to choose the balance that's right for you. Enjoy!